The Diambars Academy, based in Diourbel, had a sensational first season at top level, finishing the Senegalese 2011-2012 Ligue 1 as runner-up. Almost every player in the squad can be described as a talent and foreign scouts should really consider checking out this exciting team, mostly consisting of players in their early twenties with experience from the Senegal B, Senegal U-23, Senegal U-20 and Senegal U-17 national football team. Regular goalkeeper Ousmane Mané has had a fairytale season, making his full debut for the Senegal national football team. It is fair to say that Mané is currently the first choice goalkeeper of “Les Lions de la Teranga”. Ousseynou Thioune, the promising defender, has been one of the revelations of the season. Thioune is the younger brother of central defender Mame Saër Thioune (Casa Sport) and attacking midfielder El Hadji Makhtar Thioune (Viking FK, Norway). El Hadji Sady Gueye is a tough, hard-tackling centre-back with a lot of experience despite being only 22 years old. Djiby Ndiaye is a trustworthy central defensive partner for Gueye. Khassim Soumaré is usually found on left-back. The versatile Seydina Keita, comfortable in defence and in defensive midfield, has had a breakthrough season. 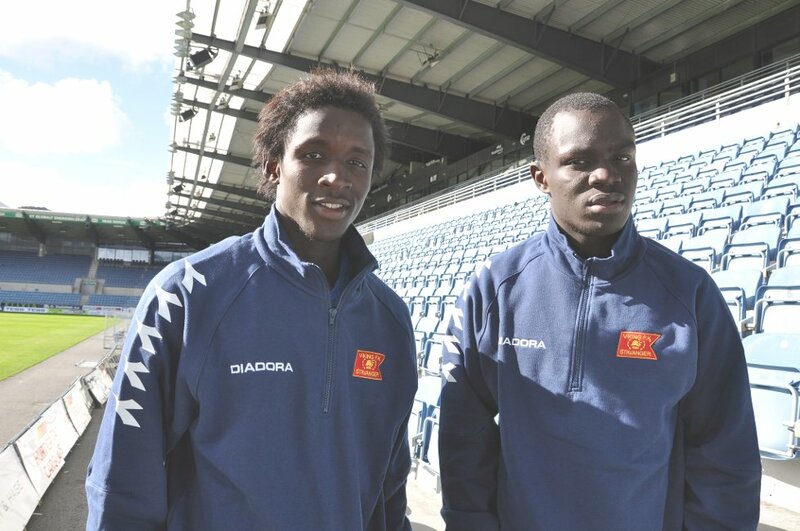 Gueye and Keita were attending a trial at Norwegian club Viking FK in September and early October. Matar Fall is the midfield general of the team, while playmaker Emmanuel Gomis was sorely missed when he travelled to Turkish second level side Boluspor during the season. Despite being a fringe player during the season, youngster El Hadj Mour Samb has shown a lot of promise for the Senegal U-20 national football team lately, Samb is a player to watch. The picture is of Seydina Keita and El Hadji Sady Gueye and was found on rogalandsavis.no. I AM SAMMY NII DEGA-ANNAN;A GHANAIAN JUVENILE SOCCER CONSULTANT BASED AT THE NATIONAL YOUTH CENTRE,KANESHIE SPORTS COMPLEX,ACCRA. I HAVE TWENTY(20) YEARS EXPERIENCE MANAGING JUVENILE FOOTBALLERS UNDER-10,12,14,17,AND 20(DIVISION THREE). WE TRAVEL TO PLACES AND MEET PEOPLE- FAMILIARIZATION, SOCIALIZATION AND INTER-ACTING.